uefi Archives - Wheres My Keyboard? Windows Setup, the Windows installation tool, unfortunately doesn’t provide any graphical tools for shrinking or expanding an UEFI System Partition (ESP; sometimes EFISYS). You can still create a custom-sized ESP by side-stepping out of Windows Setup and into the Command Line for a minute to partition the disk to your liking. I’ll walk you through the process in this tutorial. This tutorial assumes you’re working with an empty disk, and that your computer is UEFI compliant. You may need to delete any existing partitions on the drive before proceeding. You can’t rely on this tutorial to grow the UEFI System Partition (ESP) on an existing installation as any attempt would be blocked by your existing partition boundaries. Windows won’t let you recreate an UEFI system outside the Windows Setup installation program. You should follow this tutorial during the initial Windows installation process with Windows Setup. You are responsible for any data loss and to ensure that you have adequate backups of your own data. Unplug disks you don’t intend to use during the installation to avoid data loss. This is your only warning. Click the New and then the Apply button. You should now have four partitions: Recovery, System (ESP), MSR, and Primary. Select each of the System, MSR, and Primary partitions in turn and click the Delete button to delete these partitions. Leave the Recovery partition in place. You should now be back in the graphical Windows Setup partitioning tool where nothing has changed since the last time you looked at it. You should now have a disk with a default Windows Recovery tools partition, a 500 MiB UEFI System Partition, and some unallocated space for your Windows installation. That should be all. From here, you can continue with your Windows installation as normal. If you should run into problems with the system not booting after completing this tutorial, then please refer to your systems manufacturer documentation for any special hardware requirements regarding UEFI boot and the UEFI System Partition in particular. Some older hardware models required non-standard FAT16-formatted ESPs, or had special partitioning size requirements. You should be able to adjust the steps in the tutorial to accommodate such requirements. 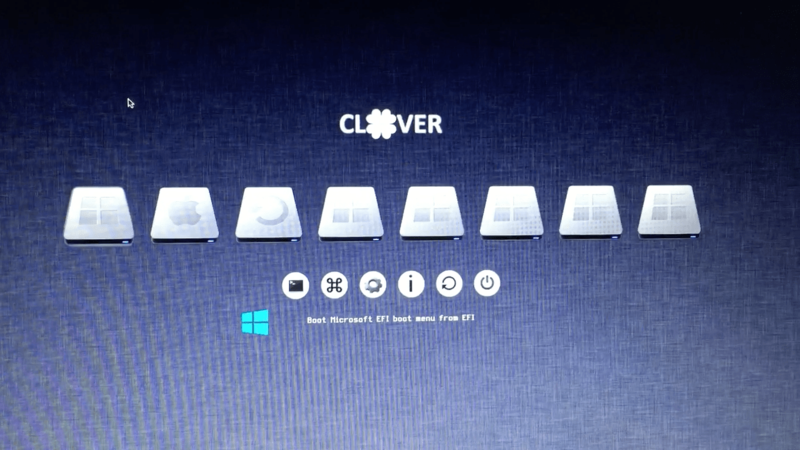 There are many ways to dual boot Windows and Mac OS X with different boot loaders on MBR but for UEFI, there’s only Clover boot loader is capable if you set it up correctly. 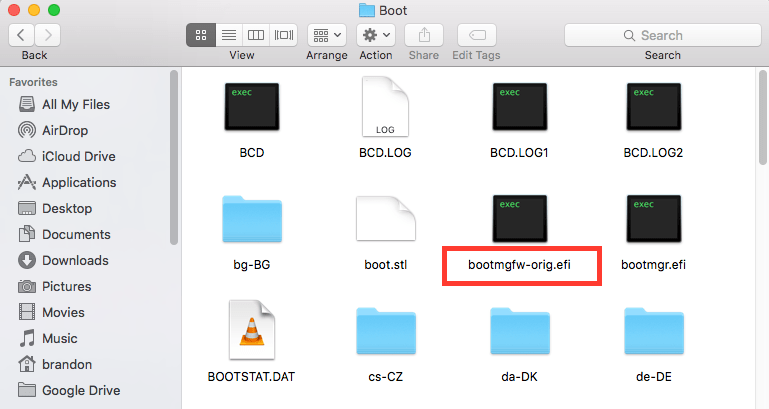 In order to dual boot with Clover by default, you need to install Clover to EFI folder –> rename bootmgfw.efi to bootmgfw-orig.efi in the efi/Microsoft/boot/ folder. When we renamed this bootmgfw.efi, the bios will boot from clover BOOTX64.EFI in the efi/boot/ folder and the Clover boot GUI will come up with all the Windows and Mac OS X partition for us to select and boot correctly. This Guide is full walkthrough to how you can Dual Boot your Mac OSX El Capitan and Windows 10 on Hackintosh is very Simpler and Easier . Step 2 : When Process Complete , Reboot your PC and Boot With USB Drive we prepared . Step 3 : Select Custom Install and Look for Unallocated Partition , Choose and Click next , windows will prompt you “this will Create System Partitions ” . Step 1: Run EasyUEFI and See which Boot Entries are available , now we gonna add Missing Entry for OSX Bootloader ( Clover Bootloader ). Disk0 is usually the internal Hard Drive / SSD. In the Boot order section, we can see that only Windows Boot Manager is detected. There is no mention of Clover UEFI anywhere. Step 2: To solve this problem, click on the Add button (the second button you see on the right). Step 4: Now Expand EFI => BOOT or CLOVER Folder , Select any of Bootx64.efi or Cloverx64.efi , Both are Clover Bootloader files Choose one or add Entry for Both but one is Enough to Boot Clover then why you waste your time but if you having Issue with and Then Use Another Option. initially when we Click on drive to Boot it loads Bootx64.efi First then Required Files to Boot to OS (Operating System) . Every OS Contains it Bootx64.efi , Windows and Linux too . above Bootx64.efi is from CloverBootloader but anyhow your file is got Replaced with particular OS then Bootx64.efi will load that OS only .Clover is capable of running any OS. But Don’t Worry use Above Bootloader Files to Boot to OS what you want . Now Everything is done and you have Successfully added Boot Entry for OSX El Capitan in BIOS , Just Select This Entry and Boot to OS you want . These Following Steps i used to Format my Single HDD to Dual Boot in Mac OSX DiskUtility . i have HDD (500 GB ) 250 GB for OSX El Capitan and 250 GB for Windows 10 .
if you set you HDD first 250GB as Mac OSX and Second 250 GB as FAT32 or ExFat , This Way OSX WIll make Format your HDD as Hybrid GPT , there’s only way to Format you HDD as OSX Journaled to get Full GPT Drive . First 250GB for OSX formatted as OSX Journaled and Left 250 GB as Free Space . 2 : You Can use GptFDisk to Convert your Hybrid GPT Drive into Pure or Full GPT then Windows Installation Can Proceed . Above Screenshot is from Gdisk you can use Partition Manager Softwares on Windows as well as OSX to Determine Drive is Full GPT or Hybrid GPT . Note : In My Case i was not able to Convert Hybrid GPT Disk using GDisk , receiving too many error then i used solution 1 , which is much Easier . 1. Always Install Install OSX First on HDD , Don’t try to Install Windows First . 2.EFI Partition is Required for UEFI Bios System , if EFI is not Present then it not Booting UEFI is using Legacy Boot. 3.Disable Secured or Set it to Other OS in Bios Menu , otherwise you won’t able to Boot from any OS then Windows . Never try to Install Windows First Because Windows always make first partition as OEM (100MB), Second EFI (100 MB) and Third MSR (620 MB ). PS: This Guide is not only for Dual Booting With OSX El Capitan with Windows10 , you can Dual Boot any Version of OSX and Windows (UEFI Support ) on Single Hard Drive using This Method .